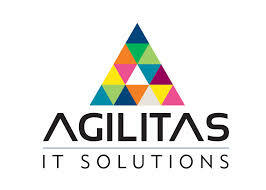 Nottingham based Agilitas is the leading European innovator of customer driven inventory-as-a-service solutions. For over 25 years Agilitas has delivered first class IT services helping major OEMs, managed service providers and IT resellers improve and extend service capabilities and delivery levels to customers. Based in Nottingham, the company services a network that covers over 12,000 locations across the UK and Europe. Jargon PR’s work for Agilitas aims to make the brand one of the most recognisable names in the channel through regular, intelligent thought leadership.